Calling all jazz radio fans, venues and musicians; there's a new radio station broadcasting across the North and it includes a weekly 2 hour show on jazz presented by Adrian Riley. 'jazz thing' is committed to supporting jazz in the region, playing plenty British music in the mix and featuring as much new stuff from the North of England as I can get my hands on. It's often a bit funky, tries to start each show approachable to a wide audience but isn't afraid to get a bit 'out there' too - 2 hours means I can fit all sorts in. it also features weekly live jazz listings for the region. Adrian is calling out for musicians to send over tracks to be played during the show and for venues to send their gig information to be included in the weekly jazz listings segment of the show. After each programme, the show is archived on mixcloud to be accessible long term. 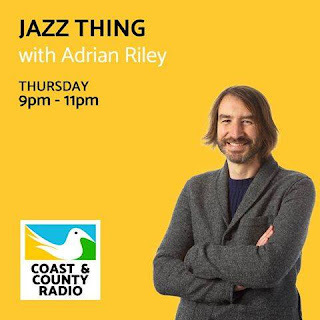 For more information, visit the Jazz Thing facebook page and the Coast and County Radio website.